Recently I came across a step-by-step program that helps parents easily teach their young children to read. 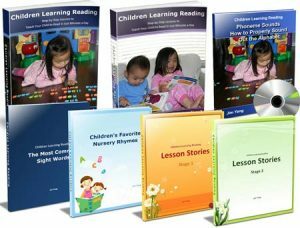 The authors, Jim (a reading teacher) and his wife Elena, developed the Children Learning Reading program, and used it to teach their own children to read before turning 3 years old. The Children Learning Reading program is designed for parents of young children between the ages of 2 to 6 years old. 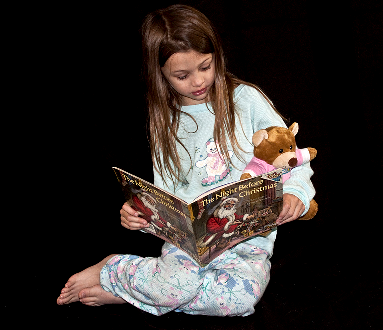 The authors created this program to teach toddlers and small children to read effectively. One important thing to keep in mind is that Children Learning Reading is intended for children who have already learned to speak. FYI: You may wonder what the benefit is to teaching children to read at such an early age. If you have a kindergarten student who is struggling to blend sounds together to make words, you can try this program at home to support your child’s reading development. Additionally, some parents are generally interested in teaching their young children (ages 2-4) to read in order to have an academic head start. As a parent it is your personal decision as to whether using a program to teach your young child how to read is right for you. Also, while this program is meant for ages 2-6, you may find success trying this program with older children who have struggled to attain phonemic awareness, although the authors had young children in mind when creating the program. The central goal of the Children Learning Reading program is to teach your child to decode (sound out) printed text quickly and learn to read fluently through the important process of developing phonemic awareness. The program is designed to be taught to your child in two stages, and each stage comes with it’s own instruction booklet and step-by-step lessons. Stage 1 helps your child develop all the important foundational skills of learning to read and read fluently. Stage 2 lessons deal with slightly more advanced lessons helping to greatly advance your child’s already impressive reading skills developed from stage 1 lessons. There are 28 lessons in stage one that are smoothly laid out to give your child the building blocks of reading printed text. The alphabet letters and sounds are introduced to your child in a sensible and intuitive order through the 28 lessons. Very simple words and blending exercises are introduced very early on, and more complicated words, sentences, stories, and rhymes are slowly introduced with the lessons as your child progresses. Once you complete stage 1, you can move on to stage 2 lessons, which involve teaching some more complicated concepts. There are 22 lessons in stage 2. One of the main purposes of this stage is to teach your child letter combinations. also known as digraphs. The words, sentences, lesson stories, and rhymes in stage 2 are more advanced, and work to greatly increase your child’s reading skills and reading fluency. 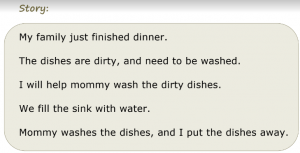 The one thing that really struck a chord with me about this program is that it doesn’t force your child to explicitly memorize any phonics rules! Being parents, I’m sure you can imagine how difficult it would be to have toddlers and young children memorize rules to reading! The wonderful thing about Jim & Elena’s Children Learning Reading program is that throughout the entire program, your child learns to read, and develops phenomenal reading and decoding skills without memorizing any phonics rules. This is why the program is so effective at teaching children to read. Another huge plus of this program is that the step-by-step lessons are designed to be quick and effective. Each lesson typically takes no longer than 5 to 10 minutes to complete, and some lessons take just 2 or 3 minutes to complete. With the short attention span of small children, short lessons like these will be much more effective and productive than long, drawn-out lessons. To teach your child to read, all that you need to do is follow the lessons step-by-step, and spend 5 to 10 minutes each day consistently teaching your child to read. Jim sent me a sample lesson to try with my four year old son. In two minutes of practice he learned and then independently read the words “bus” “at” and “sat.” I was very impressed. I also found dozens of testimonials online supporting the effectiveness of this program. Do a quick Google Search on “Children Learning Reading Reviews” and you will find the same. Thank you for visiting educationandbehavior.com, a free resource for parents, educators, and counselors. We provide academic, behavioral, and social-emotional support for children. Follow us on Facebook.